Debra Cowan » Special Limited Time Offer! 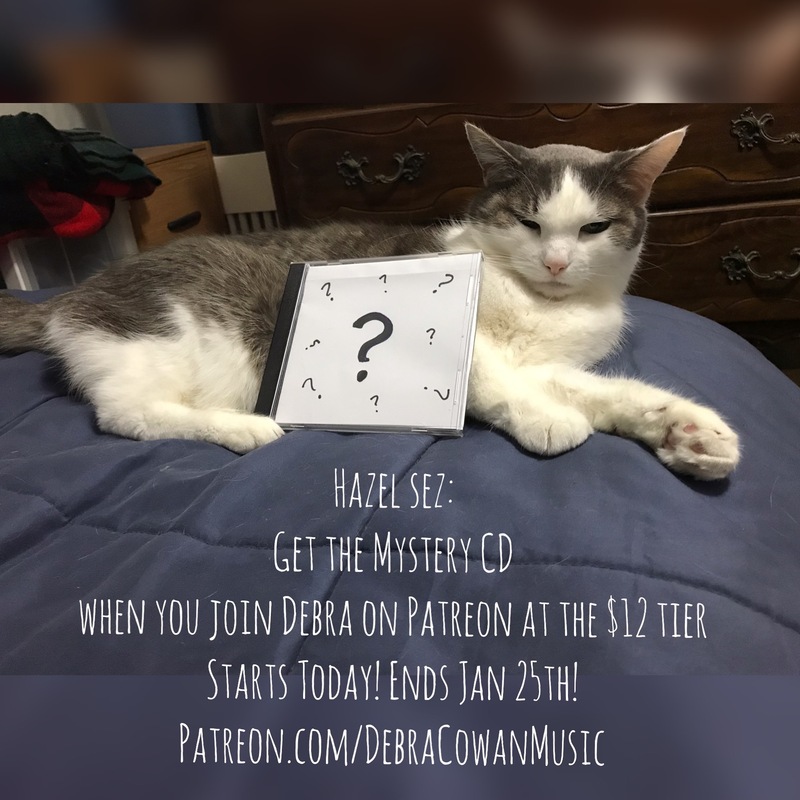 From now until January 25th, you will get an extra gift of a Mystery CD when you join me on Patreon at the $12 per month tier or above. You will also receive all the benefits of that tier, but the Mystery CD is only available until January 25th. Hint: This CD is from a long time ago and was released only on cassette tape. The title and track list will be made available when you subscribe. I made the decision to join Patreon last April after seeing several of my creative friends use it to their advantage. I was impressed with the Patreon pages of Katherine Souter-Caddick , Steve Eulberg and a few others and after a lot of research, I made my decision. I enjoy sharing my creative process with people and it’s been fun to upload audio and video of my studio sessions, performances and in a couple of cases, spontaneous singing that is seen in some cases only by my Patrons. 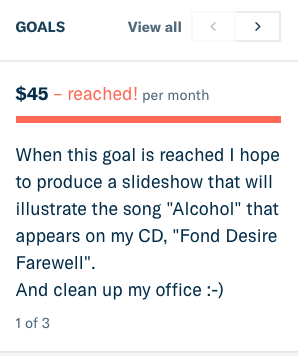 In other cases, my Patrons are the very first to get receive news before the general public. Patreon allows me to do this. Patreon also gives me the ability to have a personal relationship with individuals, something I have always loved and something I consider to be very important. It’s humbling to know that there are folks out there who believe in me enough that they are willing to financially join me on this musical journey that I have chosen. In addition, having folks pay monthly holds me accountable for my goals. In fact, as of January 14th, I reached my first Milestone Goal. This means that I will now be creating a slideshow AND clean up my office. Let’s see if I can achieve that by the time the special offer ends. Please consider joining me in creating Folk Song Experiences on Patreon.